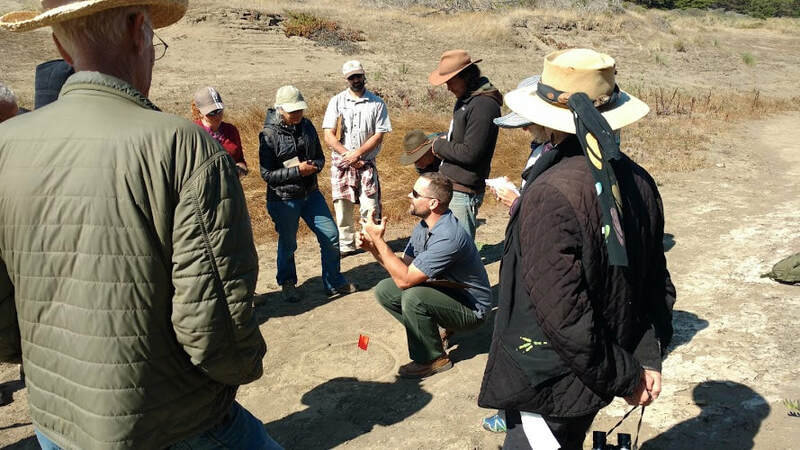 teaching in the field workshops, and conducting evaluations, as well as consulting on numerous varied wildlife projects. 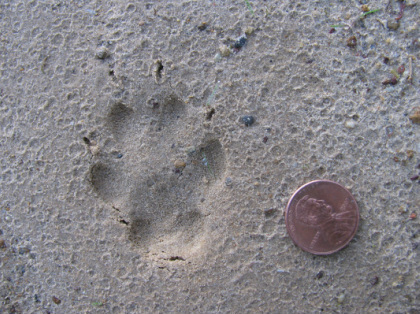 Through our workshops and Cybertracker Conservation we contribute to observer reliability and recruitment of local experts to join in citizen science projects, as well as training biologists, foresters, naturalists, educators, photographers, and wild land managers in the art and science of animal tracking. 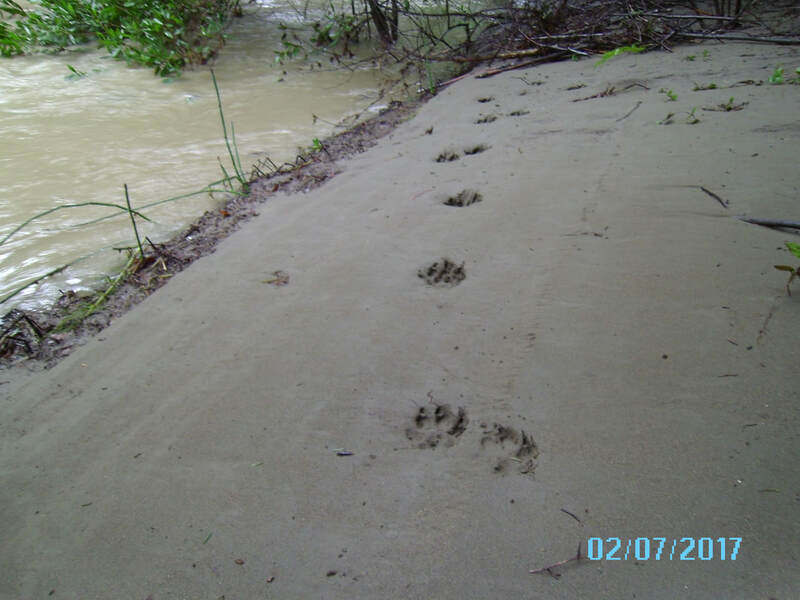 Redwood Coast Animal Tracking was created as a way to network and reach out to people for a mutual sharing. We're hoping it helps in supporting education, conservation, respectful hunting, and the general back to nature movement that is happening all over North America and the world. We support the growth of people learning skills to help gain richness and connection to nature in their lives. 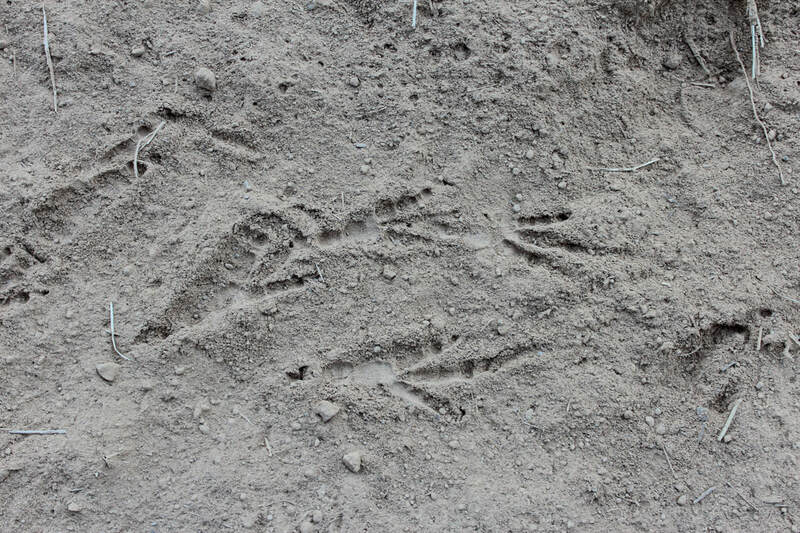 Animal tracking can be a doorway for people to immediately start seeing into the lives of animals. 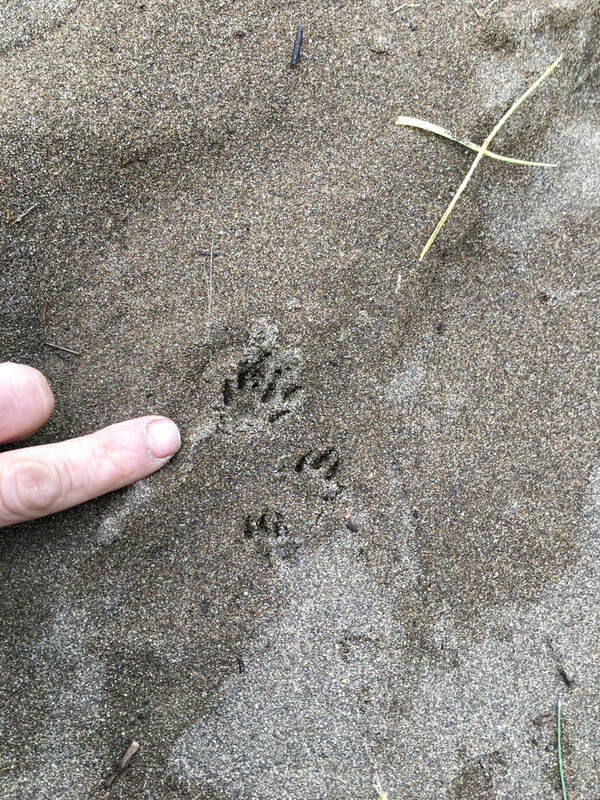 We can begin to appreciate the rarely seen animal communities living right among us and the complexities of relationship that modern folks seem to have forgotten. We are in support of this movement and our workshops are a way to share what we've learned both from our teachers and our own experiences. We've found that people are nature starved and in need of direct experience, so our teaching style is fairly hands off, to interfere as little as possible with each persons development. Our workshop venues are always outdoors, as immersed in rugged nature as can be. We provide guidance that is appropriate to the individual and the situation which challenges us to grow and learn as well. By far our most wonderful and challenging teachers have been the animals we track, trail, and try to see and interact with. They never cease to amaze and confound us, forever breaking down our pre-conceived ideas and reminding us to stay open and humble. We're based out of Annapolis, California, on the beautiful and richly varied 'Mendonoma' coast. This redwood coastal mountain range has such an incredible diversity of habitats that it offers us opportunities to explore beaches, thick redwood forests, inland mediteranian grasslands, rich oak forests, and salmon and steelhead streams. We also travel all over North America to learn, teach and consult. Matt Nelson is a Cybertracker Conservation track and sign identification evaluator offering professional evaluation and certification through Cybertracker Conservation, the international standard for wildlife tracking certification. Long Tailed Weasel Tracks. Manchester, Ca. Copyright © 2012 Matt Nelson. All rights reserved.